Hewlett-Packard(s hpq) is putting more of its chips on OpenStack as a key foundation for its upcoming public, private and hybrid cloud implementations. It’s an important endorsement for OpenStack, the open-source cloud platform launched two years ago by Rackspace(s rax) and NASA. HP’s also putting more weight behind the KVM hypervisor in what is seen as a swipe at VMware(s vmw). HP says it is providing “hardened” OpenStack technology, for example, although exactly what that means is unclear. Last fall, HP said it was building a public cloud based on OpenStack, but today’s news is a broader endorsement of the technology. “We are expanding OpenStack across our whole cloud portfolio,” Shane Pearson, VP of product marketing for HP Software, told me in an interview on Friday. Meanwhile, IBM(s ibm) and Red Hat(s rhat) — probably the two most notable OpenStack holdouts to this point — are expected to publicly disclose their OpenStack support this week or next at the OpenStack Spring Conference. Big IT companies like HP hope to use OpenStack to combat Amazon Web Services’ (s amzn) huge presence in the public cloud arena and to blunt VMware’s (s vmw) push to entrench its proprietary virtualization tool set — which already dominates in corporate data centers — as the de facto standard in cloud computing. “It’s an interesting dance,” said Forrester Research(s forr) VP and analyst James Staten. Companies like IBM and HP feel they ceded control to VMware in the data center and don’t want to repeat that mistake. “The cloud is the next game and they’re saying ‘we gave up control in the last round, we won’t do it this time,'” he said. is built on OpenStack’s open source operating environment and enhanced with unique HP technology … HP Cloud Compute provides you with the software, control panels, and APIs required to run instances and manage your own compute cloud. In addition, HP Cloud Compute supports a variety of standard hardware con?gurations, and bene?ts from the KVM hypervisor technology. Since OpenStack is still not completely baked, the “unique HP technology” mentioned is critical. What HP is announcing is that its “HP Converged Cloud”– an umbrella term for hybrid cloud — will amalgamate existing HP technology along with OpenStack in a way that will work across the private, public and hybrid clouds. It said Converged Cloud will be available May 10. HP, like other tech giants, view Amazon’s growing dominance in the public cloud — and the fact that it is building stronger connections from corporate data centers into its cloud — with growing alarm. But it’s hard for even companies as huge as HP and IBM to build out the type of infrastructure services Amazon provides and offer them at a profit. It probably doesn’t help these legacy IT vendors build coherence around their strategy when they have have mixed cloud allegiances. 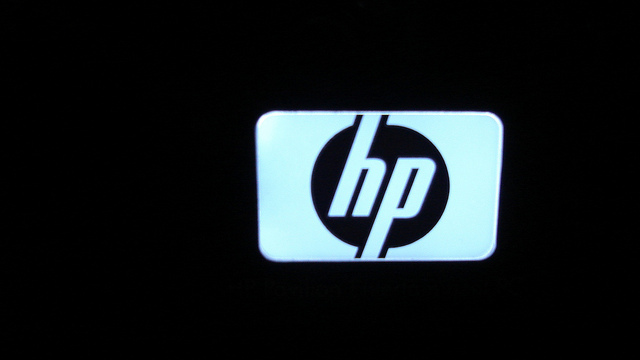 For example, HP pledged two years ago to run Microsoft(s msft) Windows Azure services in its data centers in an effort that has gone nowhere yet. Participating fully in the nascent OpenStack Foundation will not be free. In short, OpenStack may be open source and comparatively cheap compared to proprietary software, but it isn’t free. According to the OpenStack Fountation wiki, Platinum foundation members must pony up $500,000 per year and commit to three years. If this is meant to ensure HP can continue to compete long run against AWS then it’s a wise investment (albeit a very small one). I like the promise of OpenStack. I’m interested to see what the solution looks like for vendors that choose to implement production clouds. The last I looked it had a long way to go. I really want OpenStack to gain traction to push both AWS and VMWare. So sounds like Openstack is fragmenting with major cloud SVP putting own spin on it. Does that not make application/ cloud user portability – the point of openstack like OS- unlikely? While some companies will choose to provide significant funding to the foundation, it will by no means be a requirement for participation. The proposed structure includes multiple membership levels, including a free one, all with representation in the governance model. And the development processes will continue to be free, open and driven by the contributions of the technical community. Good to know about the Hewlett-Packard is putting more of its chips on OpenStack as a key foundation for its upcoming public, private and hybrid cloud implementations. $1.5M for three years might as well be free to the likes of someone like HP.